Hope you can cope with this free publicity. The largest and most dangerous hate groups in New Zealand consist of Stuff, NewsHub, One News and NewstalkZB….and probably a few others could be counted in there also. They specialize in promoting hate speech, inciting hatred and religious intolerance. They have been at it for years. It is time to expose them for what they are; extremist hate groups. 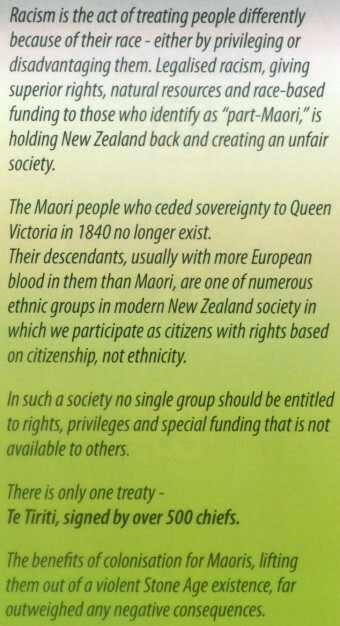 Much discussion uses the phrase “ceding of sovereignty” by many of the Maori chiefs in 1840. 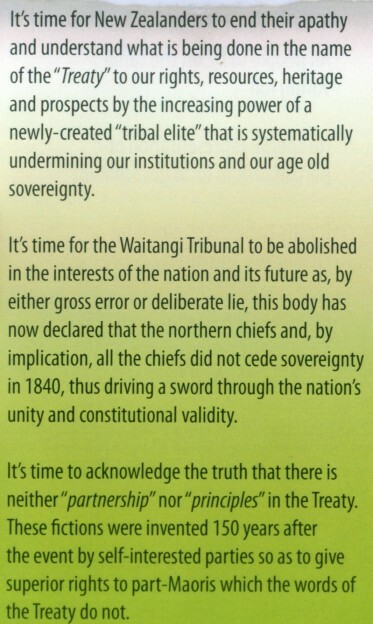 The ceding of sovereignty means the transferring of sovereignty, and it so happens that the Maori inhabitants were not a sovereign nation and had no sovereignty to transfer or cede. They were a series of separate tribes all fighting one another, and there was no universally accepted leader, and without a written language of their own there was no system of law that could be legally recognized. A sovereign nation requires unity, stability, and an accepted leader, all supported by a written body of law. 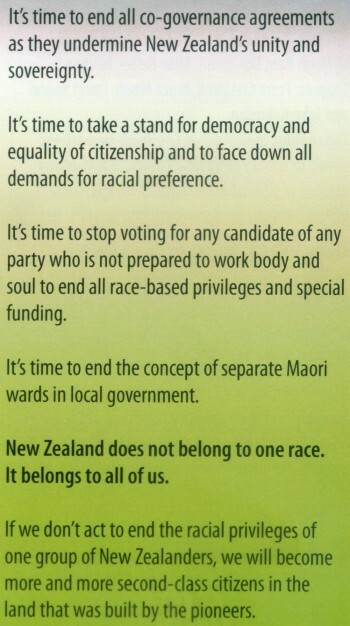 The Maori inhabitants had none of those. Back in 1877 Chief Justice Prendergast stated that “No political body existed capable of making cession of sovereignty.” What the Treaty did was to enable Britain to gain sovereignty over the tribal inhabitants in readiness for New Zealand becoming separated constitutionally from New South Wales, which it did in accordance with the Royal Charter of November 1840.